Photo: Rufus A. Kern House, ca. 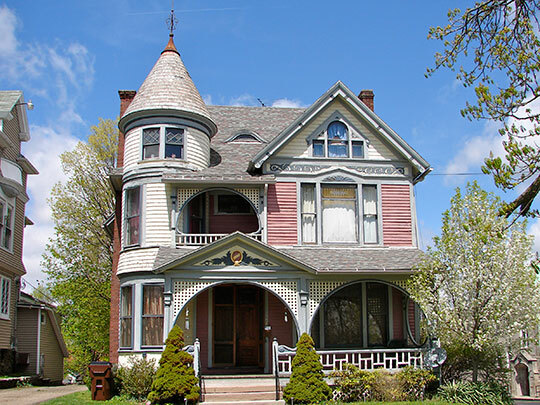 1900, 308 Park Avenue West, Mansfield, OH. Listed on the National Register of Historic Places in 1983. Photographed by User:Smallbones (own work), 2011, [cc-by-1.0 (creativecommons.org/publicdomain/zero/1.0/deed.en)], via Wikimedia Commons, accessed January, 2015. Richland County administrative offices are located at 50 Park Avenue East, Mansfield, OH 44902; phone: 419-774-5550. City of Mansfield, Department of Community Development, Mansfield Ohio Consolidated Plan: Five Year Plan 2009-2014. www.ci.mansfield.oh.us, accessed January, 2015.